Charleston Real Estate | 729 Stiles Drive- $575,000!! ← New Construction on James Island- $649,000!! 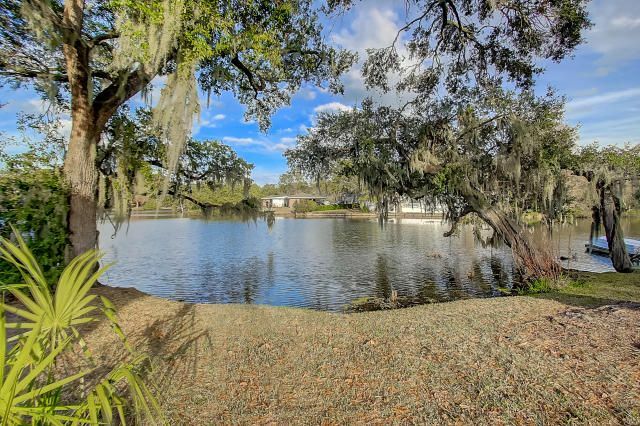 Panoramic lake views are a highlight of 729 Stiles Drive. This home has a 2675 square foot main home and a 450 square foot mother-in-law suite with its own bathroom downstairs (not included in the bath and bedroom count for advertising). The main house features three large bedrooms and two and a half baths. Waking into the home from the full front porch you will notice the large wainscotted dining room. When entering the kitchen you will see custom concrete counter tops, stainless appliances accented by the lake views. The breakfast nook has a large bay window looking over the back yard and its amenities. The large family room and equally large master bedroom are on the first floor. Upstairs you will find the secondary bedrooms with a feature in each that you do not see every day. Listed with Carolina One Real Estate and the Leading Real Estate Companies Of The World.